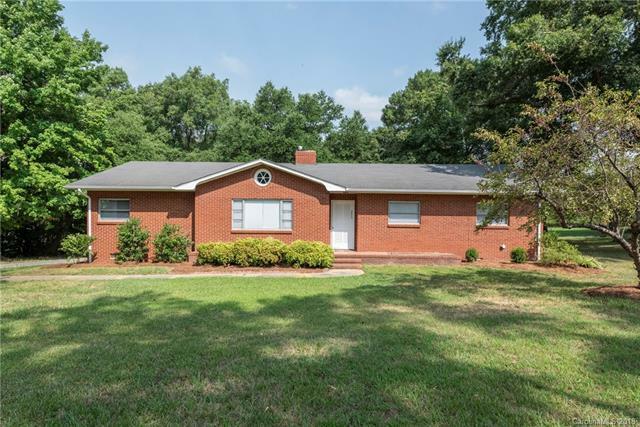 This full brick ranch home sits on approximately 2.4 acres (3 parcels included in sale) of rural land while being only minutes to UNCC, the Blue Line Light Rail, I-485, I-85, Concord Mills, and more. You can even walk to concerts at the PNC Music Pavilion! The home features both formal and casual living areas, ample counter and cabinet space in the kitchen, two full baths, and two bedrooms with large windows and generous closets. Additional storage space and laundry hookups are found in the utility room just off the rear entry carport. Outside, the gravel drive takes you past the open front yard and around to the back where you will find ample room for parking along with a shaded and wooded rear yard. Sold by Benham Real Estate Group, Inc..